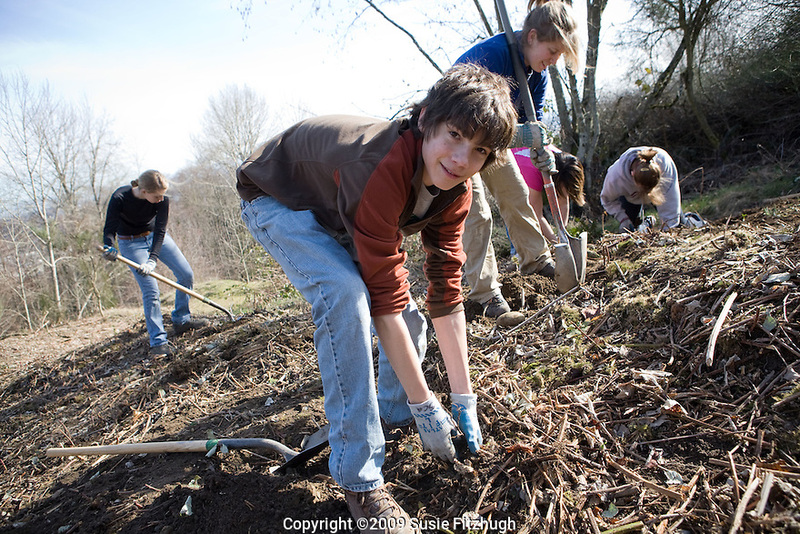 Volunteers are helping to clear out the invasive Himalayan blackberries from the West Duwamish Greenbelt in Seattle. On this late-winter Saturday, high school students belonging to the Student Conservation Association are helping with the ambitious effort. Restrictions: For use in editorial and/or educational projects only, with a fully paid license from the copyright holder [Susie Fitzhugh] for specified rights.